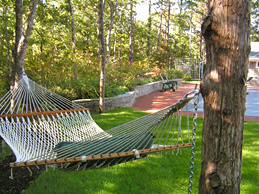 Established in 2002 Peter Barylski Landscapes has been providing the Eastern End of Long Island with a sense of pride. We provide you with the knowledge and expertise of a large company while giving you a personal experience. We try to guide every project as if it were our own and hope to give you the feeling of trust and assurance that your project no matter how big or small will receive the proper attention it deserves. Our staff is equipped with the knowledge and tools to transform your dreams into a beautiful reality with the professionalism you should expect.